As my team and I have been planning for the BLVD Show House, we’ve found some amazing pieces from our favorite vendors and have gotten tons of inspiring ideas for our summer projects. And these lounge chairs were too beautiful not to share with you. 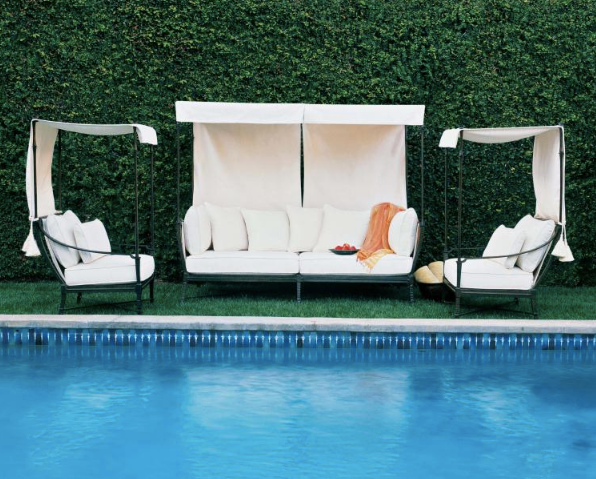 While this isn’t technically a lounge chair, this daybed is perfect for taking a break from the sun. It’s just what you need to create a resort style atmosphere in your own backyard. I could definitely imagine this seating area next to a pool in an old Roman palace. Traditionally associated with tropical colonies of the British Empire, these fan chairs have a very exotic vibe and definitely make a statement. 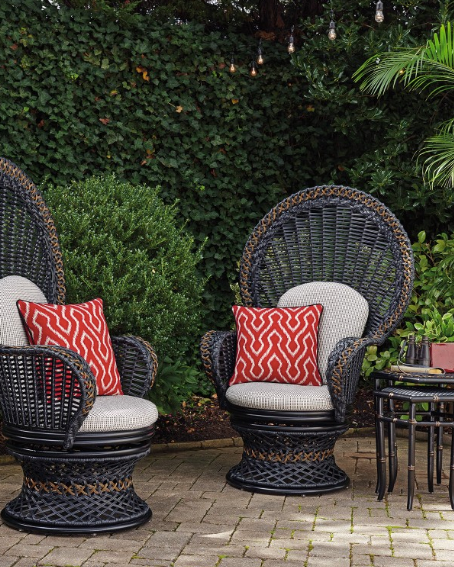 The intricate weave on these chairs is perfect for creating a luxurious, old-world outdoor seating area. Modern outdoor furniture is making a comeback in a big way. It’s a fabulous way to bring the indoors outside and feels more like what you would find in a living room. We used these egg-shaped chairs to round out the design and add contrast to the clean lines of these Dedon outdoor sofas. 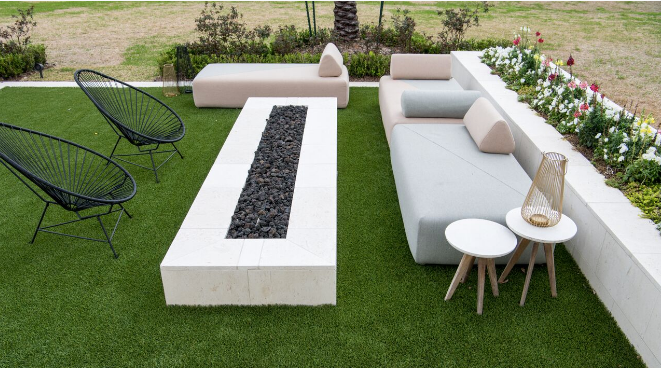 You can configure the pieces any way you want to instantly creates a sleek, poolside sitting area. I love these sofas because they’re upholstered which is so hard to find in outdoor furniture and I’m so excited to have as a partner for the BLVD Show House. 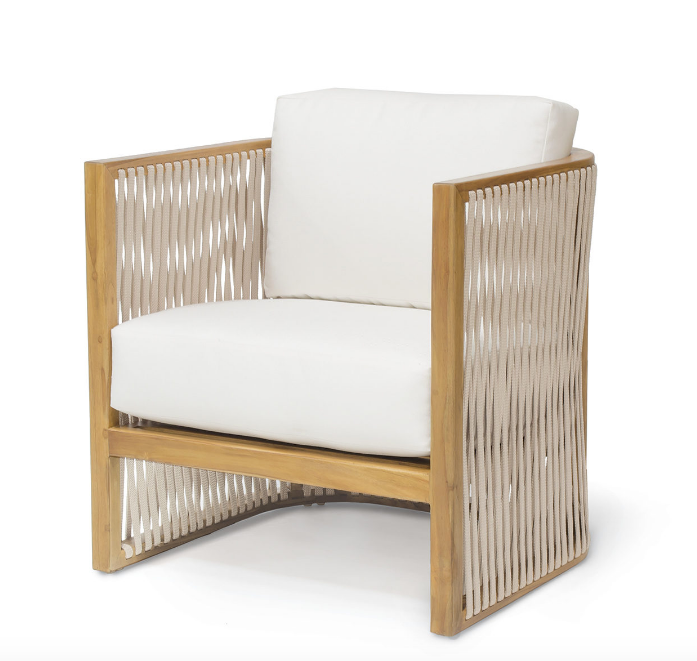 For a more laid back island resort vibe, use a teak wood frame chair. The natural golden brown finish paired with marine grade, synthetic rope is so chic. This style chair would be great in a beach house or on a lake house porch. A colored lounge chair adds a fun touch of color to your patio area. 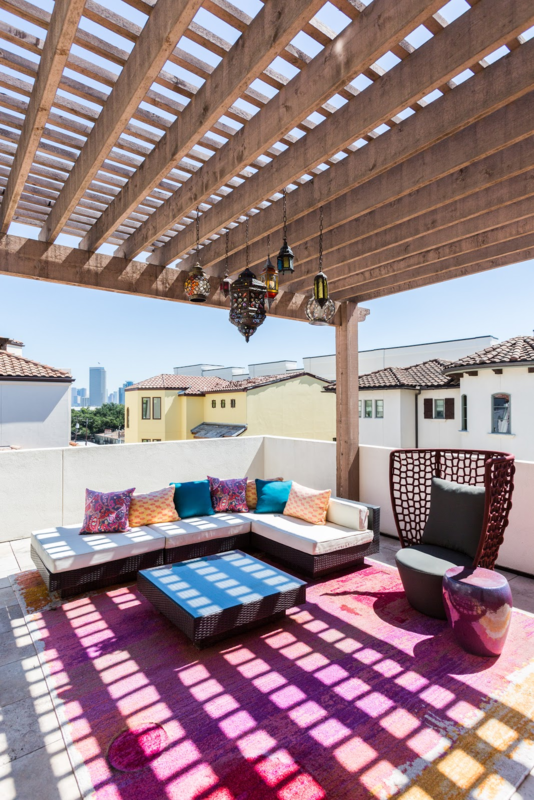 We used the Faye Bay Beach Chair in cranberry for our client’s Moroccan-inspired patio oasis. It makes you feel like you’re on vacation without leaving your home! These lounge chairs will definitely elevate your backyard design. So whether you’re looking for luxurious lounge chairs or something more casual, I hope these chairs have you feeling inspired to create your own backyard oasis for the summer. If you’re looking for more lounge chair inspiration, head over to my Pinterest page.